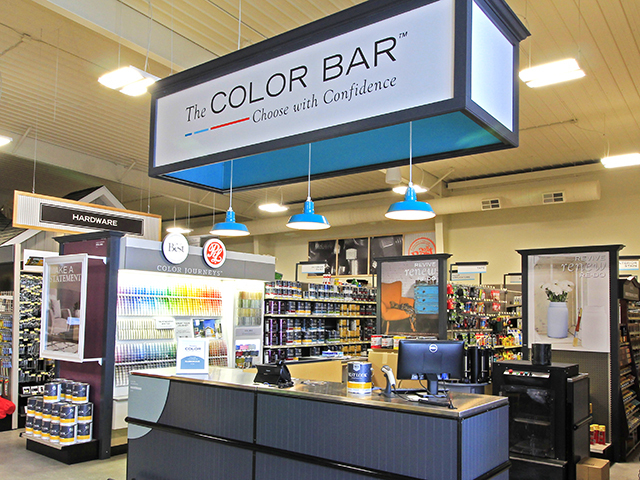 The COLOR BAR is the ultimate paint shopping experience designed to inspire you and help you chose with confidence. Hilltop Lumber partners Pratt & Lampert, a brand that stands for quality, leadership and innovation in the paint industry. They offer the finest paint products and have made an unwavering commitment to dealers, architects, designers, contractors and consumers that use their products. Pratt & Lampert has achieved a reputation as one of the finest paint brands in the marketplace and distinguished color leaders in the paint industry. When it comes to quality, “Never Compromise”. Pratt & Lampert offers a variety of premium interior paints that promise beautiful results for any style, any budget – and every home. 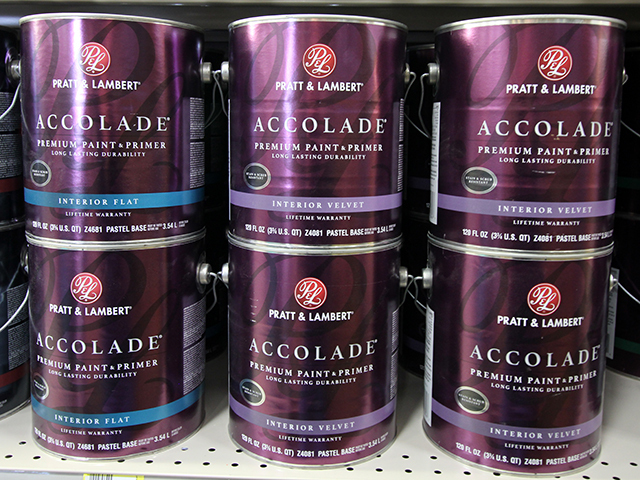 Pratt & Lampert paint is available at Alexandria and Ottertail. Visit the Pratt & Lampert website for interior and exterior paints and primers, stains and clears, as well as color & inspiration. 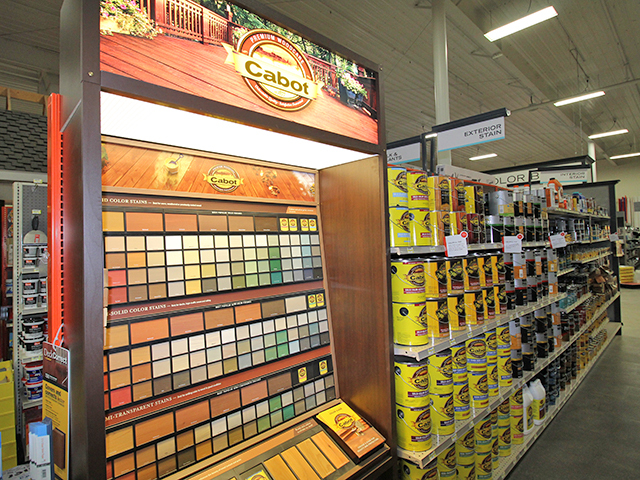 Cabot offers wood stain, deck stain and the finest selection of quality exotic wood care products that provide beautiful and long-lasting results. 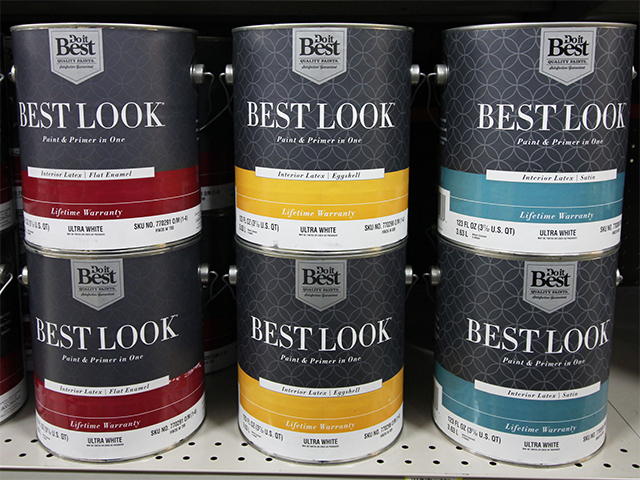 Do It Best’s BEST LOOK PAINT is available at all Hilltop Lumber locations. Best Look interior and exterior paints, and primers, are quality products at competitive prices. 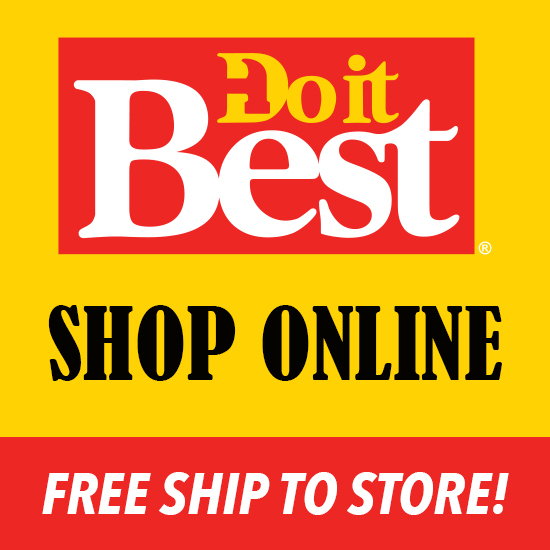 Best Look is private branded paint produced for Do It Best Hardware stores. It is made by one of the largest and most experienced coating manufacturers in the business.